Only a few minutes from Connolly’s main guesthouse and village pub, this four bedroom self-catering is a lovely detached residence in a quiet cul-de-sac offering optimum privacy. It is beautifully furnished throughout and the interior is completely new with natural wood throughout. It is a bright and spacious house. There are three double bedrooms (one ensuite) and a single bedroom. There is a main bathroom and a downstairs toilet. You will find two reception rooms, a fully fitted kitchen and a large dining area. The patio area leads to a large landscaped garden providing extra outdoor space during the summer months. There is a complimentary “drop off” into town of an evening for those wanting anevening out. This part of the county is outstanding for its coarse fisheries. 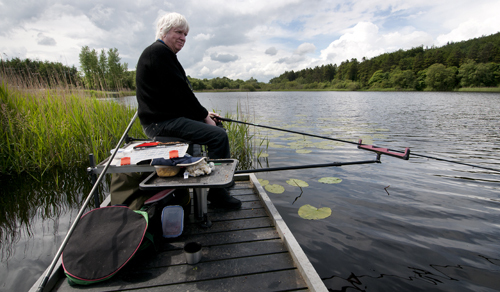 Famous Muckno provides a challenging shoreline for every day of your holiday but there’s a host of other fine fisheries including Ballybay’ s Lough Major, well known for its bream and roach. Tench certainly feature strongly on the Dromore River system along with bream, hybrids and some lively large pike.